This past Saturday, on October 24th, the United Nations celebrated its 70th anniversary. Founded in 1945, the initial purpose of the formal intergovernmental organization was to prevent the occurrence of another devastating international conflict like World War II. Since then, its objectives have expanded to include promoting and protecting human rights, fostering economic development, and providing humanitarian aid, to name a few. The present-day organization has an interesting past, to say the least. Prior to 1945, there was some semblance of a unified international and intergovernmental organization. During the Second World War, the Allied nations created the “Declaration of the United Nations” in order to combat the Axis powers, replacing the previously ineffective League of Nations. The condition of membership was declaration of war against the Axis. Following the conclusion of the war, the UN was restructured into the organization that exists today. The United Nations consists of five functioning organs, or subsections, each with an important individual purpose: the UN General Assembly, the UN Secretariat, the International Court of Justice, the UN Security Council, and the UN Economic and Social Council. Each of these arms provides the necessary support and information for a variety of endeavors, from the previously mentioned protection and promotion of human rights and economic development to maintaining global security and encouraging greater preservation of the environment. Four of the five subsections are located in New York City, with the other subsections and internal committees located in UN offices and locations all over the world (The International Court of Justice is located in the Hague, Netherlands). Currently, the United Nations has 193 member countries, with membership being awarded to any country that is “peace-loving” and willing to uphold the tenants of the organization. There are also two non-member observer states—the Holy See, the sovereign body of Vatican City, and the State of Palestine—that are present at meetings but not awarded voting rights. Over the past several decades, the UN has been involved in some of the most significant political, economic, and social events in international history. The organization has been credited with supporting and spearheading important global initiatives such as the campaigns for universal immunization, safe drinking water, education accessibility, sustainability, and economic recovery and development efforts in Africa. 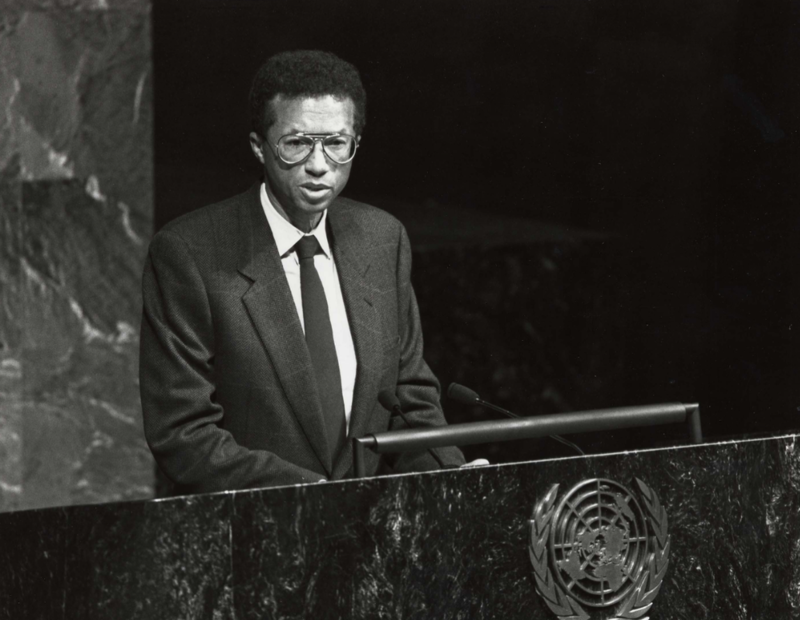 Arthur Ashe appeared there once to speak to the United Nations General Assembly on World AIDS Day in 1992, addressing the members about the necessity for a coordinated international response to AIDS and increased research into the disease. For many, the UN is simply that large international organization that steps in during a time of war. But it is important to understand how much more the United Nations does and how we can get involved as ordinary individuals. From citizen petitions that you can sign on the United Nation websites to informational events you can attend, there are certainly many ways to make your voice heard. And what better time to start than today?